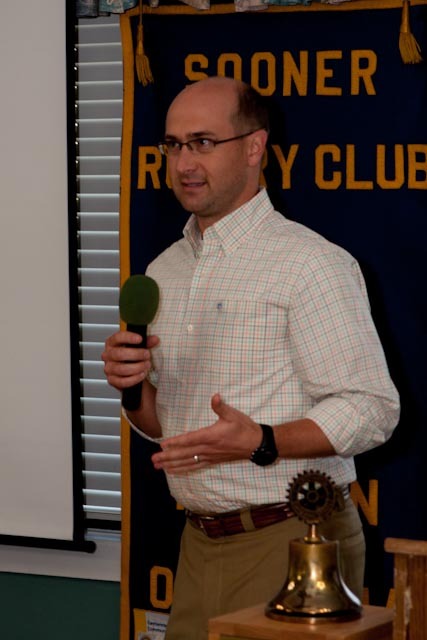 Norman anesthesiologist Dr. Andy Greenhaw was the guest speaker at the Tuesday meeting of Sooner Rotary. He talked about the training he received preparing for his career and for the role that the anestiologist plays in patient care. Dr. Greenhaw also talked about types of anesthetics used in surgeries and about the patient's rights in working with the anesthesiologist on the type of pain management agent to be used.